Watch this video created by the University of Rochester on Albert Paley in studio and talking about his creative process, public sculpture and a sense of place and scale. 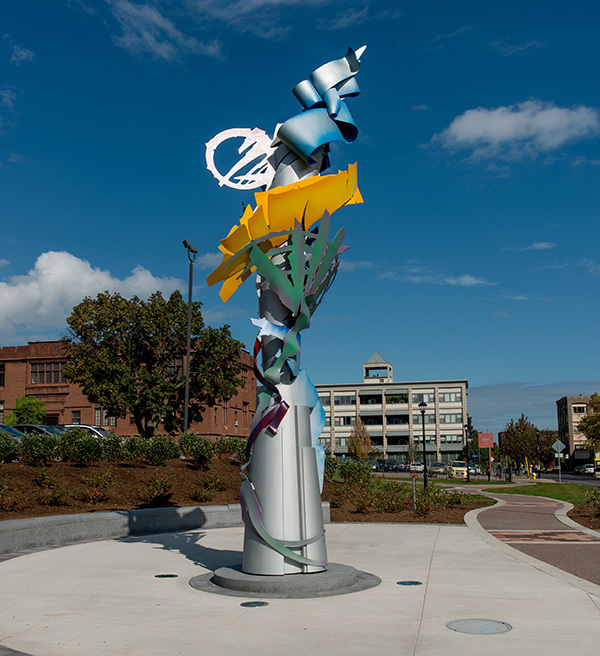 The Memorial Art Gallery commissioned the 25-foot stainless steel sculpture by Albert Paley as one of the anchor installations at Centennial Sculpture Park. 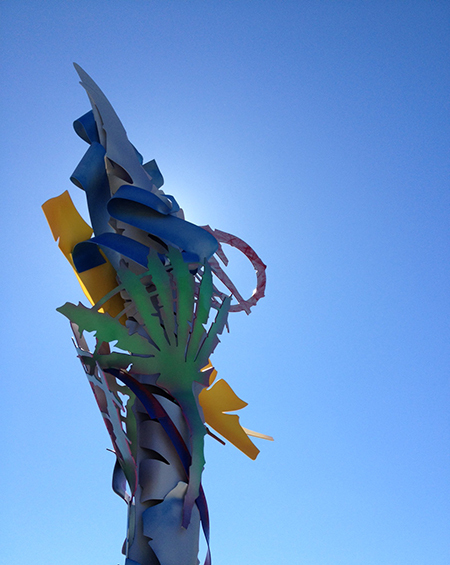 The work, titled Soliloquy, was installed at MAG’s Goodman Street entrance on September 24, 2013 in the Cameros Family Plaza. Albert’s previous work includes thirteen sculptures spanning from 52nd St – 67th St on Park Avenue in New York City and is titled Paley on Park Avenue. Rochester’s WXXI was granted access to Albert and his studio during the Park Avenue Project. They have put together a series of seven episodes documenting this amazing project. 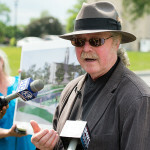 Please visit WXXI’s website to view the series. Soliloquy is the gift of the Cameros Family and Ann Mowris Mulligan, with additional support from Bank of America Charitable Foundation, FULL MEA5URE, the Herdle-Moore Fund, the Rubens Family Foundation, and the Clara and Edwin Strasenburgh Fund. Read the Press Release. In addition to the four major projects, Centennial Sculpture Park showcases sculptures from the MAG collection by such prominent artists as Deborah Butterfield, Nancy Jurs, George Rickey and Tony Smith.